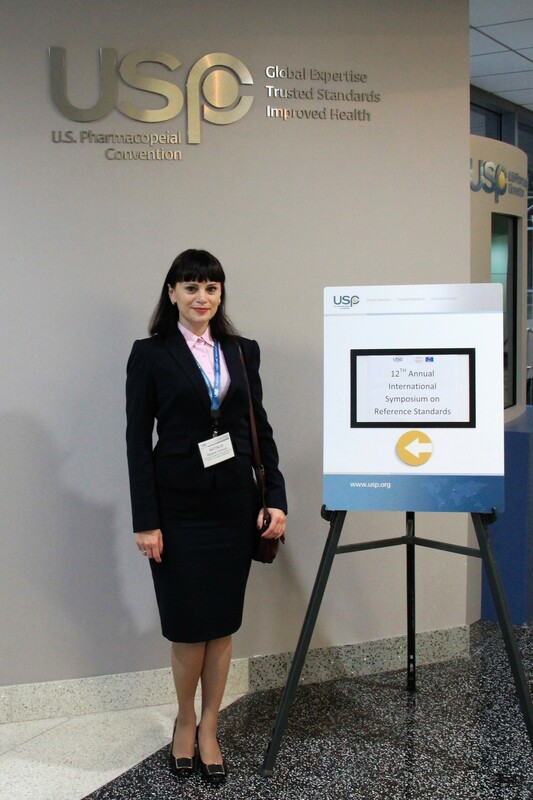 The 12th Annual International Symposium on Pharmaceutical Reference Standards was held on 3-4 November 2016 at the U.S. Pharmacopeia Headquarters in Rockville, Maryland, USA. 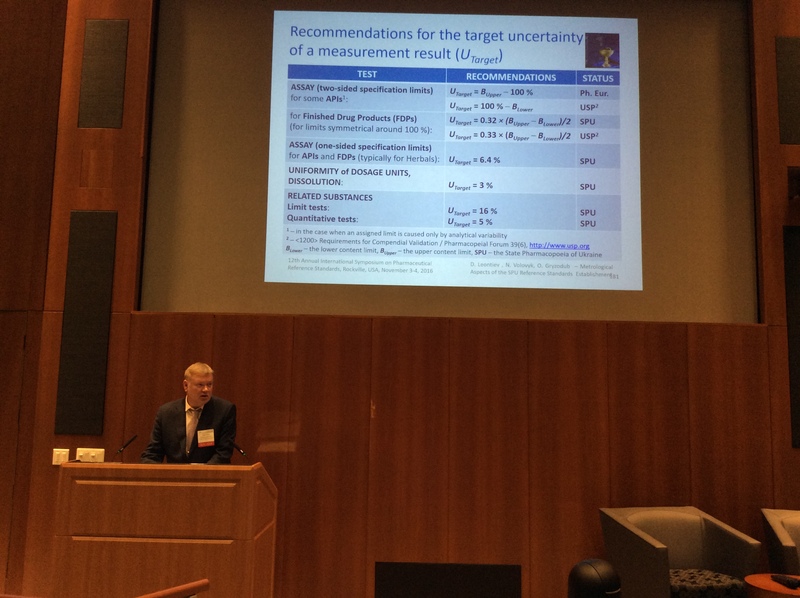 The Symposium was organised by the U.S. Pharmacopeial Convention (USP) and the European Directorate for the Quality of Medicines (EDQM). 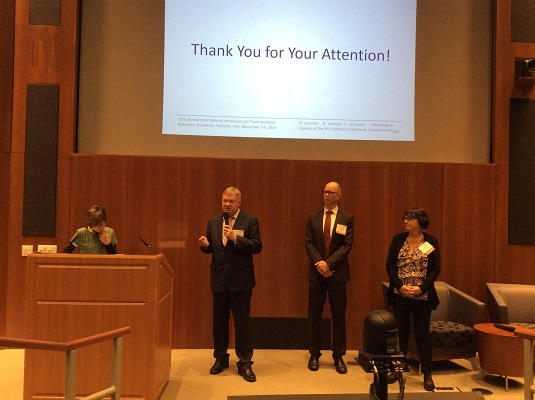 Scientists from around the world were able to share their experiences in the establishment, use and distribution of reference standards. There were invited speakers from the USP, European Pharmacopoeia, Ukrainian Pharmacopoeia (SphU), FDA/ORA, NIBSC, NIST, LGC, Cerilliant, INDOOR, BMS, Eli Lilly, Novo Nordisk, Ipsen, World Courier and National Institute of Health Science (Japan) at the Symposium. Each session was followed by a discussion where listeners had a great opportunity to ask speakers questions and talk hot issues over with them. 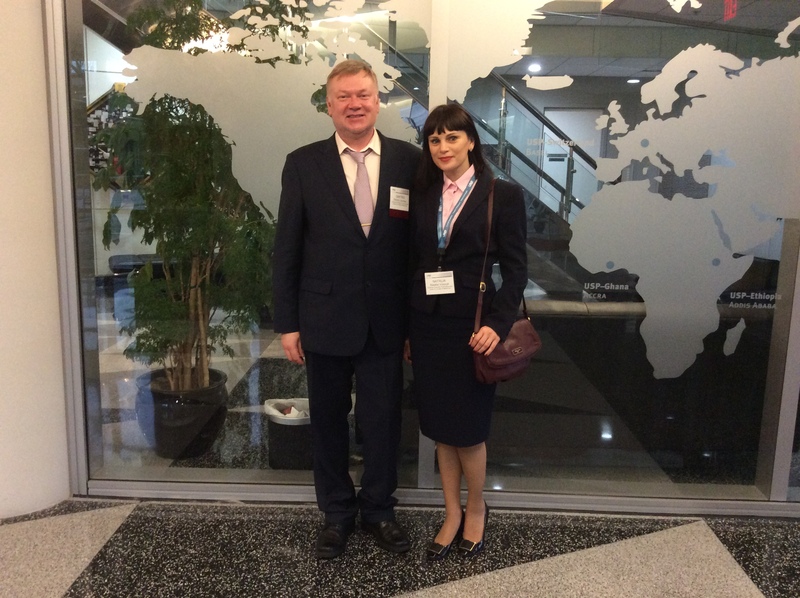 Dmytro Leontiev, D.Sc., Deputy Director of Science, Head of the Validation and Reference Standard Department, and Natalia Volovyk, Ph.D., Deputy Head of the Validation and Reference Standard Department, represented "Ukrainian Scientific Pharmacopoeial Centre for Quality of Medicines" at the Symposium. Dmytro Leontiev as an invited speaker gave a presentation on Metrological Aspects of the SPU Reference Standards Establishment (authors: D. Leontiev, N. Volovyk, O. Gryzodub) at the Symposium. The presentation aroused great interest among attendees.